Do you love your animals but wish you could understand what they’re trying to tell you? Do some of their behaviours have you baffled? 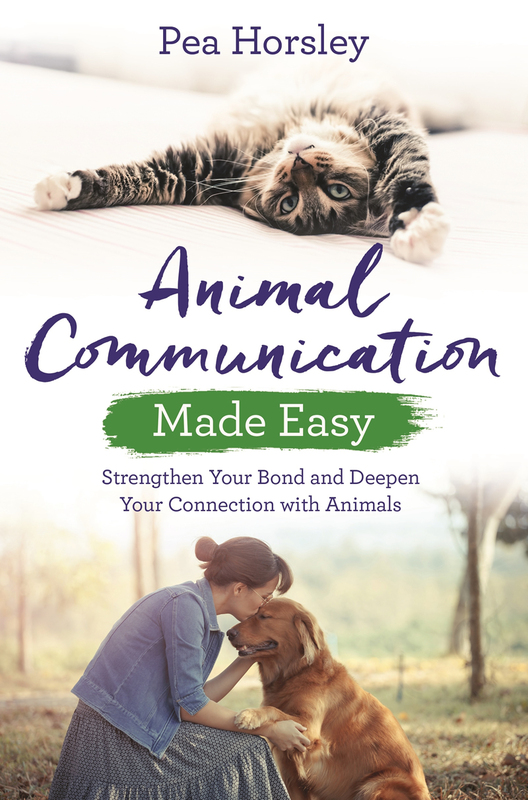 In this book, world-renowned animal communicator Pea Horsley teaches you the essentials of animal communication to enable you to communicate intuitively with the animals you love. Pea leads you through ground breaking preparation processes to calm your body and release your mind, and then her effective five-step method to create a deep, spiritual connection with your animal. Drawing on her many years of experience teaching people to communicate with both wold and domesticated creatures, Pea’s unique blend of exercises, affirmations and meditations will empower you to connect with all living beings. Would you like a free extract? Subscribe to our weekly newsletter to learn about upcoming events and receive instant access to an extract from my new book, Animal Communication Made Easy. When we don't know something we often fear or, perhaps worse, criticise and undermine it. Pea impressed me from the outset with animal communication by confirming that she doesn't have all the answers. This same philosophy was how I grew up with the bears - and to this day our team and I don't have all the answers, but connect with them in the desire to learn and be what they need us to be. Through Pea's understanding, talent and patience, animals that are rarely given the benefit of the doubt in our often blinkered minds, are now listened to and increasingly understood. Pea takes us into the inspirational world of animal cognizance and spiritual honouring and we owe her our gratitude for helping us to communicate, understand, respect and revere all creatures - great and small - whose extraordinary world we share. Whether you live in the city with your adorable pets, or in the wild with prides of lions as I do, this delightful heart-warming book makes it clear that interspecies communication is really obvious and simple, because it's totally natural. The mind thinks but the heart knows, so this technique is about connecting heart-to-heart. In my vision of the future, all leaders will have mastered this subtle art, not only by speaking to the other inhabitants of this planet, but by respecting and acting upon what they receive in return. How else will we create a just and flourishing future. This practical guide to communicating with animals contains a great deal of wisdom. 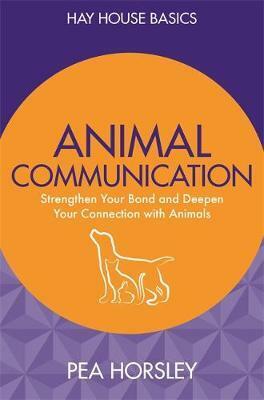 I particularly enjoyed how the book placed animal communication in a broader spiritual context. For those with a truly open mind, this book is a treasure that can literally open up new worlds. In Animal Communication Made Easy, Pea gives a simple, clear and concise guide to communicating with our animal friends. For anyone interested in learning how to have a deeper relationship with their own pets and in communicating with other animals, this is the perfect handbook - practical, factual and easy to follow. Pea Horsley is the real deal. A book of this quality could allow individuals an opportunity to understand their animals with additional insight, enabling them to understand early pain onset, and allowing a more preventative rather than reactive, approach to their health care. Pea provides an easy-to-follow manual that covers all aspects of communication, from the basics through to full proficiency, and along the way helps us to avoid all the pitfalls, the biggest being lack of self-belief. I so enjoyed this chance to take a refresher course from this master communicator. I'm fascinated by just how much we don't know about the amazing animals we share our lives with. I've been involved with dogs for the last 30 years and have currently five rescues in my life. They are all wonderful. I'm not as receptive as they are, but I'm learning. It's why I'm going to study Pea Horsley's extraordinary work and try to understand her great skills of communication. Even if a bit rubs off it will have been worth it. I heartily recommend this book.